Ganja Mall Cinema presents a premiere of another interesting film as every Thursday. You can watch the movie "Dumbo" in Ganja Mall starting from March 28th. 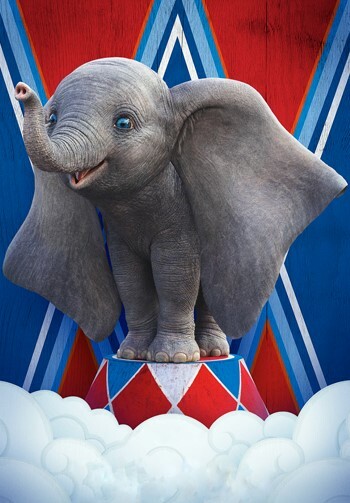 A young elephant, whose oversize ears enable him to fly, helps save a struggling circus, but when the circus plans a new venture, Dumbo and his friends discover dark secrets beneath its shiny veneer. Visit to Cinema Plus Ganja Mall to watch the movie starred by Eva Green, Colin Farrell, Michael Keaton.